Ask him what happened to the Starship Brillant and the Doctor hasn't the first idea. Did it fall into a sun or black hole? Was it shot down in the first moments of the galactic war? And what's this about a secret experimental drive? The Doctor is skittish. But if Martha is so keen to find out he'll land the Tardis on the Brilliant, a few day before it vanishes. This book is in a very similar style to the other recent Doctor Who novels which I have read - clearly aimed at a younger audience, straying not far from simple language and simple themes. Unlike some however this one features a good amount of humour which will be appreciated by anyone who has ever met a child. 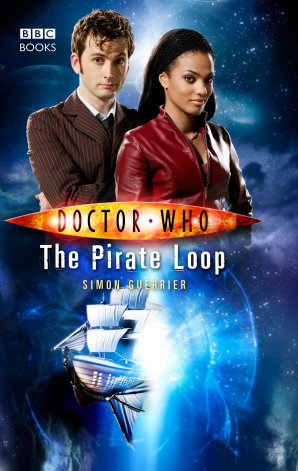 The set up is good, starting off with the old disappearing ship plot but evolving through unique plot devices to produce an amusing tale where the Doctor has to battle against time, childlike badgers and a group of humans who don't seem to appreciate his presence. There also features a lot of deaths in this one but as usual the Doctor manages to save the day in the end. While the human characters are fairly two dimensional, the cast of aliens is much more admirable, with five standing out in particular. The pirate badgers who invade the starship are particularly cute in their depiction as naïve children who are eager to please - but from a more cynical viewpoint are easy for the Doctor to manipulate. All in all probably one of the more interesting Doctor Who novels I have read, if only because the characters seemed so huggable.